RARE HAND: single pinky crease! If you can open the link then it is in the Face Book of the Group Palmistry and Palmistry. Re: RARE HAND: single pinky crease! 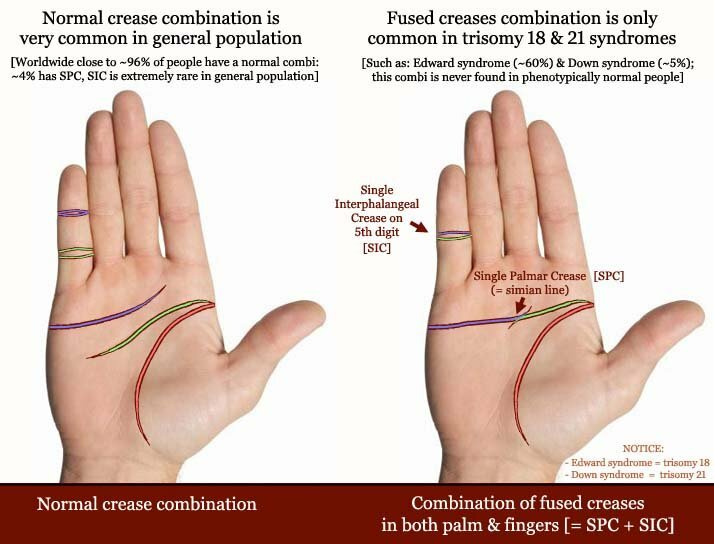 NOTICE: This condition does not involve 2 phalanges, because in nearly all cases there is actually a single crease featured with 3 finger bones!